Brain activity represents a ongoing, coordinated series of electrical signals. A seizure represents a temporary loss of electrical control in the brain, characterized by chaotic, overactive signaling. A drug that lowers the seizure threshold increases the likelihood that a seizure will occur. Importantly, these drugs do not directly cause seizures. Rather, they change the brain chemistry in a way that favors seizure activity. When taken by patients with epilepsy, drugs that lower the seizure threshold may cause an increased frequency of seizures. Tramadol, a powerful narcotic pain reliever, can lower the seizure threshold, reports the medical reference website Epilepsy.com. The likelihood of seizures associated with tramadol use increases in patients concurrently taking antidepressants, antipsychotic medications and other narcotics. The probability of seizures increases along with advancing doses of the medication. Bupropion is an antidepressant medication with a chemical structure distinctly different from that of the major classes of antidepressant drugs. The U.S. Food and Drug Administration-approved prescribing information for bupropion warns that generalized seizures occur in approximately four out of every 1,000 patients treated. The risk for seizures increases along with the dose. Fluoxetine is an antidepressant in the drug class known as the selective serotonin reuptake inhibitors, or SSRIs. According to Epilepsy.com, approximately two out of every 1,000 patients treated with fluoxetine experience seizures. Other SSRIs, including citalopram, sertraline, paroxetine and fluvoxamine, have similar seizure threshold lowering potential. Clozapine is an antipsychotic medication used to treat patients with schizophrenia and related conditions known as schizoaffective disorders. Clozapine carries an FDA-mandated black box warning, noting an increased risk for seizures associated with use of the drug. The risk for seizures associated with clozapine increases with dose escalation. 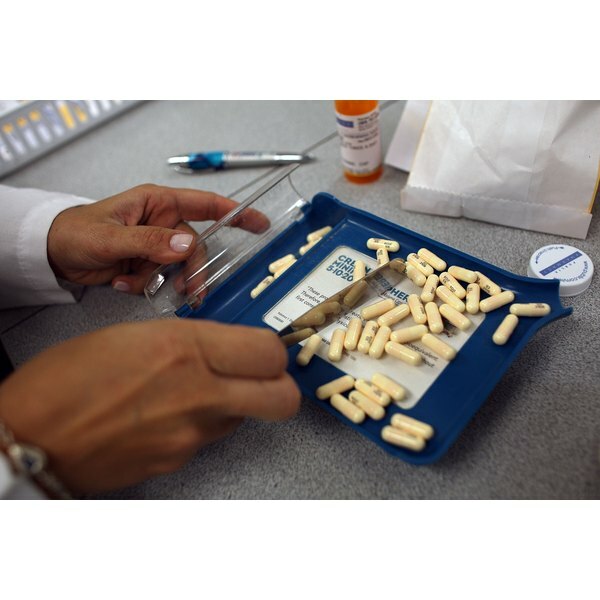 The FDA-approved prescribing information for clozapine indicates that after one year of treatment, approximately 5 percent of patients experience seizures. Cocaine use lowers the seizure threshold in a significant number of users. In the medical text "Psychiatric Controversies in Epilepsy," Drs. Raj Sheth and Edgar Samaniego report that between 1 to 10 percent of cocaine users experience seizures. Additionally, cocaine overdose commonly causes seizures. Penicillin and related antibiotics can lower seizure threshold in some patients. According to Epilepsy.com, penicillin is more commonly associated with seizure activity than amoxicillin or piperacillin. Additionally, penicillins more commonly lower the seizure threshold than other classes of antibiotics, including cephalosporins, fluoroquinolones, carbapenems and monobactams. Overall, antibiotics have a low incidence of provoking seizure activity.